Of the many things that come to mind when we think of tables, beauty is not one of them. There is something about numbers and overwhelming data that makes any bridge between them and a clean, organized workflow seemingly impossible. On the other hand, tables are one thing that many blogs cannot live without. All data holds some kind of narrative, and in the right hands, tables can transform numbers into stories. In WP Table Manager 2.5 we have taken the undertaking to make it easier for you to take your data and convey its meaning to your WordPress readership. 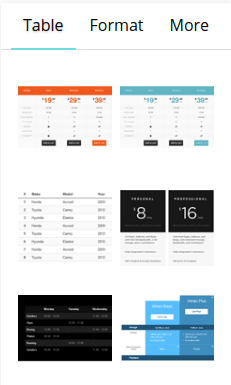 The first thing that we have done with tables is revamp their style for a more modern look and feel by applying material design principles to it. The second change that we have brought to WP Table Manager is improved menu organization. Although the first needs little explaining, the new menus may throw you off initially. Not to worry though, we are taking the opportunity to acquaint you with your tables’ upgraded abode. The table editing page is split into three sections. In the middle is the actual editable table, alongside all of its data. On the left-hand side is a list of existing tables, split according to category. If you want additional space, you can hide this section altogether. The right side is where the table settings reside. As from WP Table Manager 2.5, all controls related to tables are now located in a new area on the right side of your tables. In short, the Table menu lets you choose the table’s appearance, the Format tab lets you tweak cell content, and More is where exporting and advanced styling options reside. The Table menu is probably the first one in your workflow when creating a new table. The very first option, and without a shred of doubt the most expressive, lets you pick an overall theme for your table. There are currently six styles to choose from. However, if you want more control, keep reading to explore your options. The remaining settings let you choose the frame color and how to align the table within the rest of your blog. You may also choose how overflowing cells should be displayed, or how many headers to freeze. Essentially, from this tab you can import readymade data from a spreadsheet into your WordPress table, optionally tying the two together with automatic synchronisation. 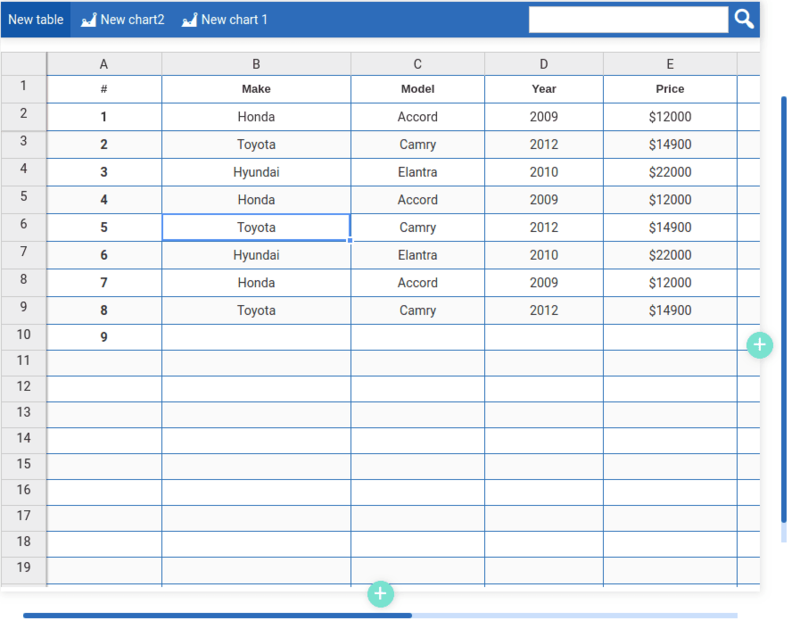 The second tab provides finer granularity over design, with formatting controls for individual table cells. Options that you have become used to make an appearance here - fonts, text sizes and colors, and alignments can all be changed here. If none of the available themes are to your liking, you can also use this set of options to modify cell backgrounds and borders, effectively creating your own, perfect style! The last section mostly caters to localization, and data importing and exporting. If you want to adapt data to a particular audience, or the default settings are not displaying fields like currency and dates correctly, then this is probably what you are looking for. Apart from date and currency formats, and other mathematical delimiters, the More tab also provides advanced styling options for cells. In the bottom of the side-menu, you can change the padding and margins for all cells, giving your data more breathing space. Dealing with data can be a trudge on its own. Now, though, WP Media Table introduces a re-imagined backend and a new, organized editor that makes it easier to work with numbers and let your data tell a story. IT Specialist & JoomUnited writer!